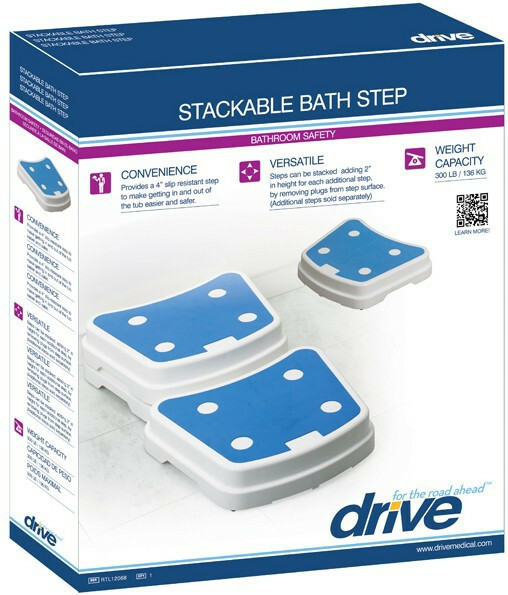 The Portable Bath Step, by Drive Medical, is a durable, non-slip step to help one enter and exit a bath basin with better ease. 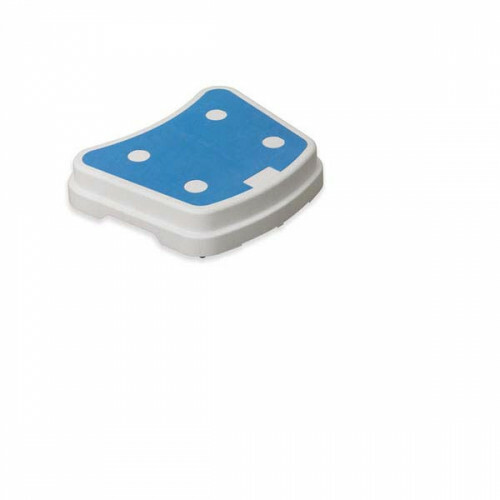 The step is one of those daily living aids that make life for those with mobility issues a little easier and with less chance of getting injured in a fall. This useful bathroom Accessory adds a four-inch boost to help those enter over the lip of the bath basin. Multiple steps can be stacked and each stack adds an additional two inches. The steps have a gum-like grip to prevent slipping. The step also has rubber feet to plant into the floor so it does not slide. The step's feet can be removed when stacking steps to ensure a secure fit. 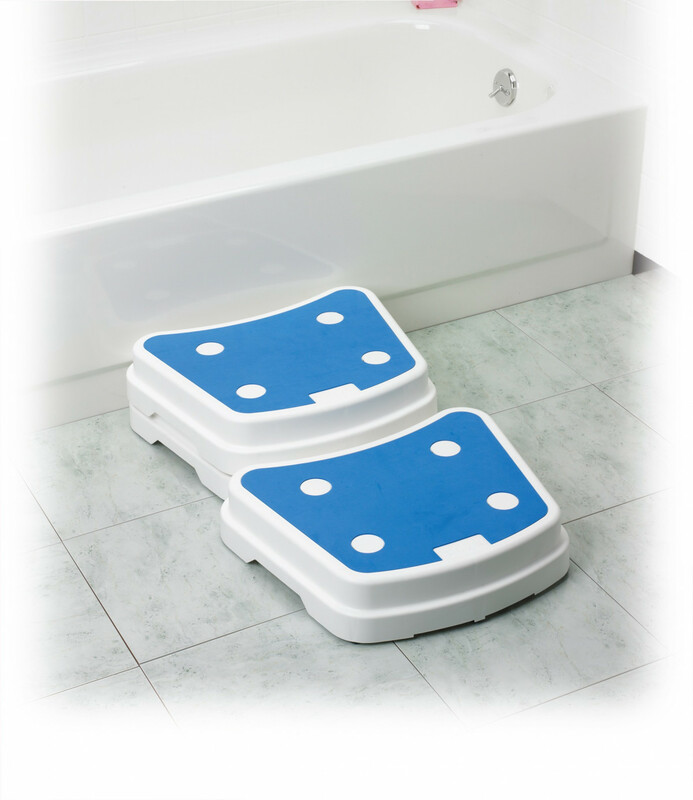 The Portable Bath Step comes with four removable surface covers. The surface cover is simply removed when stacking. They are sold one step per order. It adds a four-inch boost with slip resistant top and rubber feet. Attractive, textured surface that is slip-resistant and comfortable. The bath step comes with four removable covers on the surface that locks into another step when stacking. Each additional step adds two inches. The step makes getting in and out of bath tub safe and easy. The leg plugs can be removed when stacking steps to ensure a secure fit.